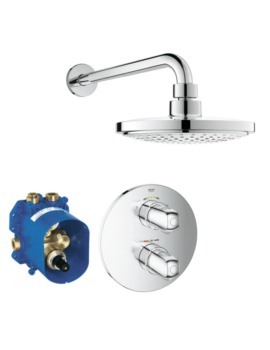 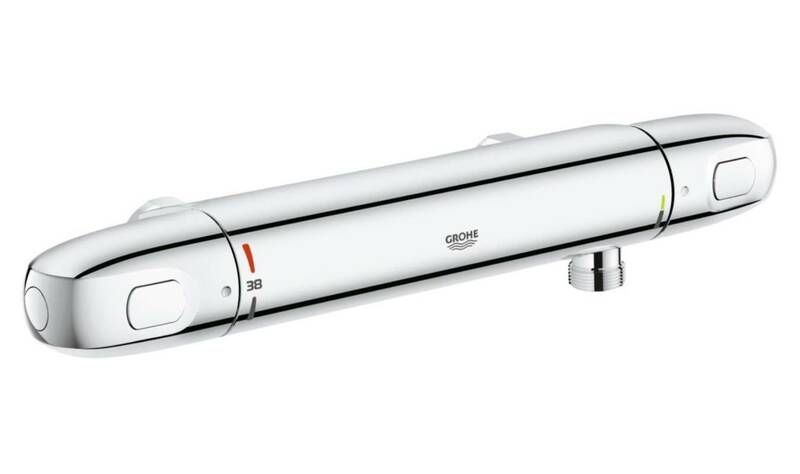 The Grohe Grohtherm 1000 New Thermostatic Shower Mixer Valve is a prime example of technology at its best and you get to own this futuristic looking piece at a surprisingly affordable cost. 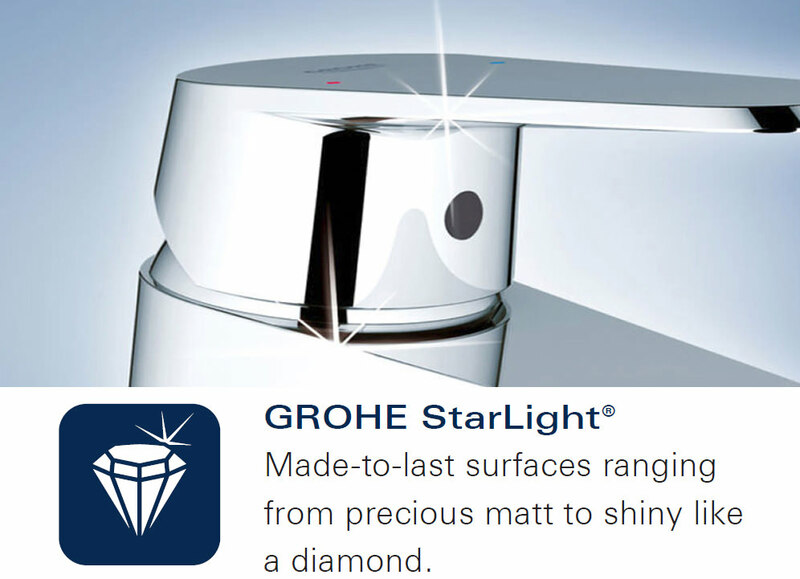 Crafted in an ergonomic shape, the metal handles offer optimal grip and can be operated with minimal effort, even with soapy hands. 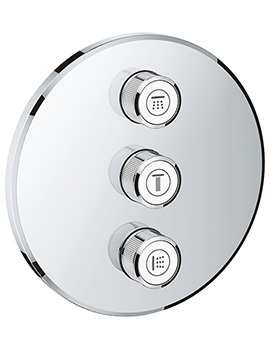 The SafeStop safety button is set at 38 degrees C but if you desire to increase the temperature, the system allows you to override it. 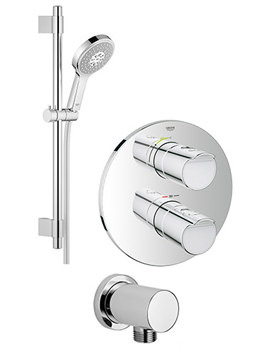 The integrated EcoButton and EcoJoy function provide a water-saving option of reduced volume with no diminution in the quality of the shower. 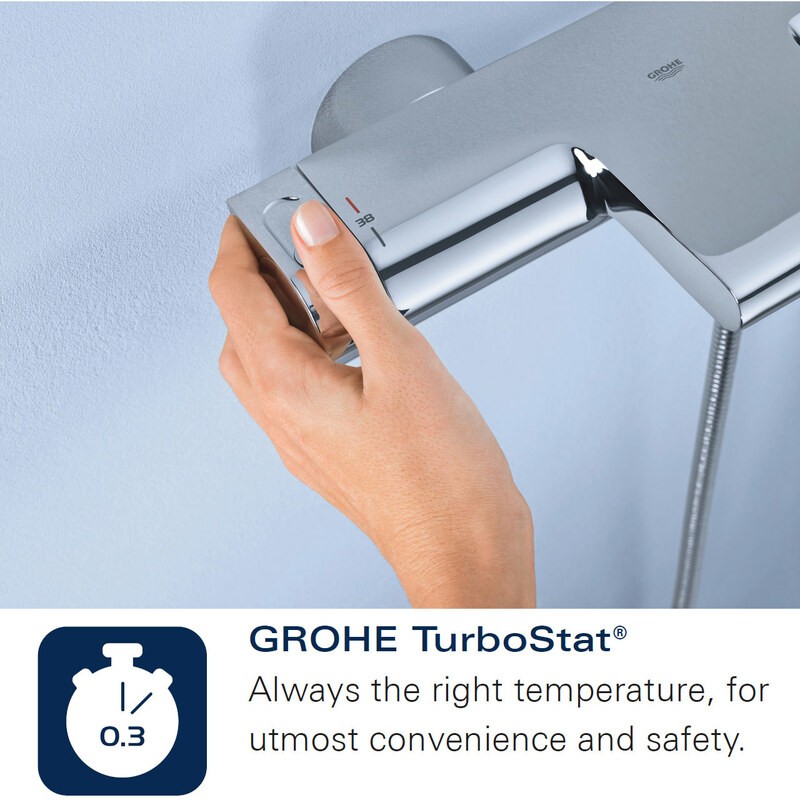 You can enjoy the comfort of a reliable water temperature at all times with the TurboStat technology. 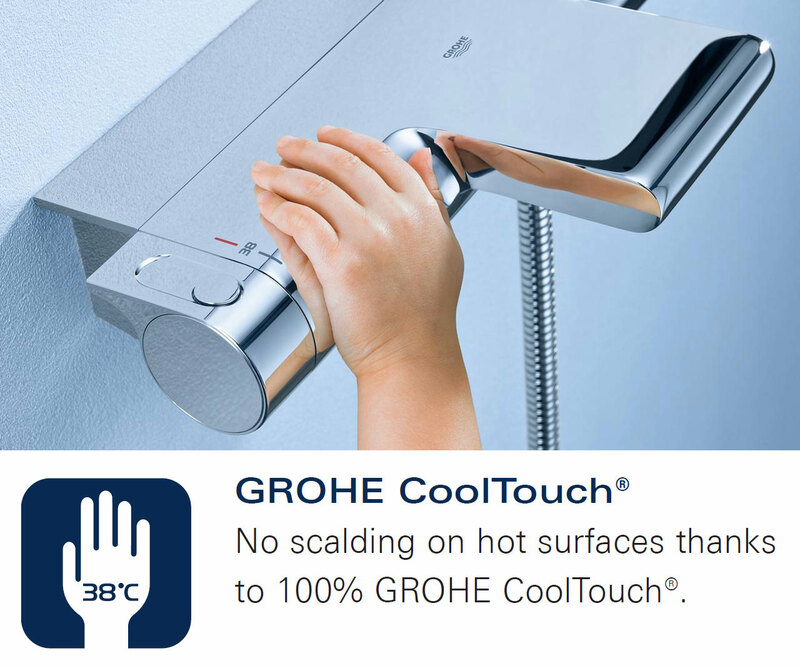 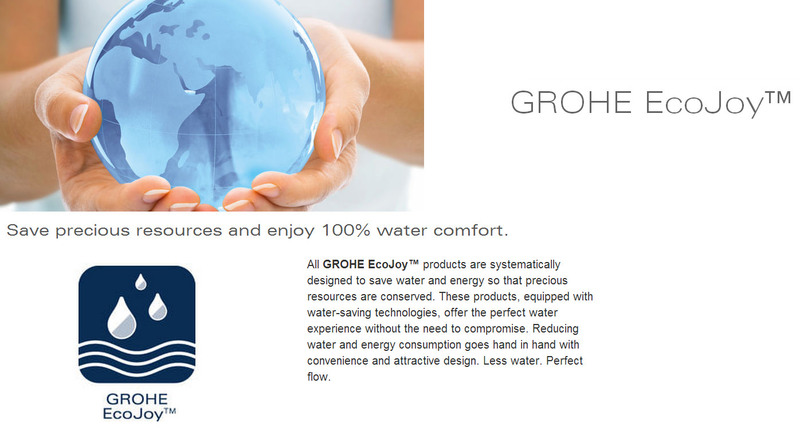 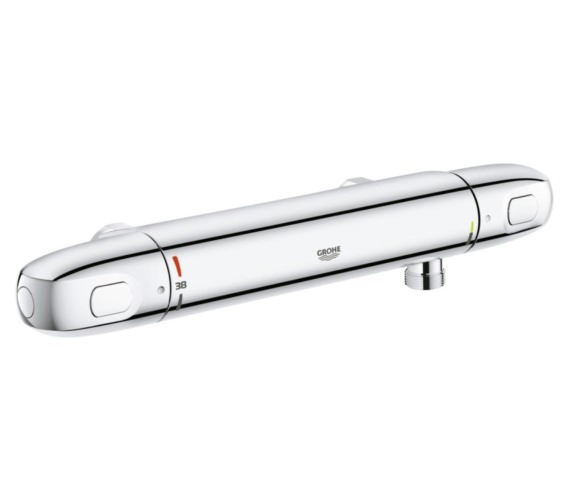 GROHE CoolTouch® Technology, assures peace of mind and no risk of scalding when using Grohe products with hot chrome surfaces. 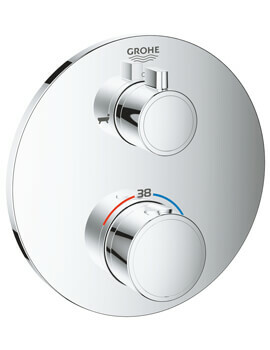 It works by creating a ‘cooling channel’, which acts as a barrier between the hot water and the outer surface. 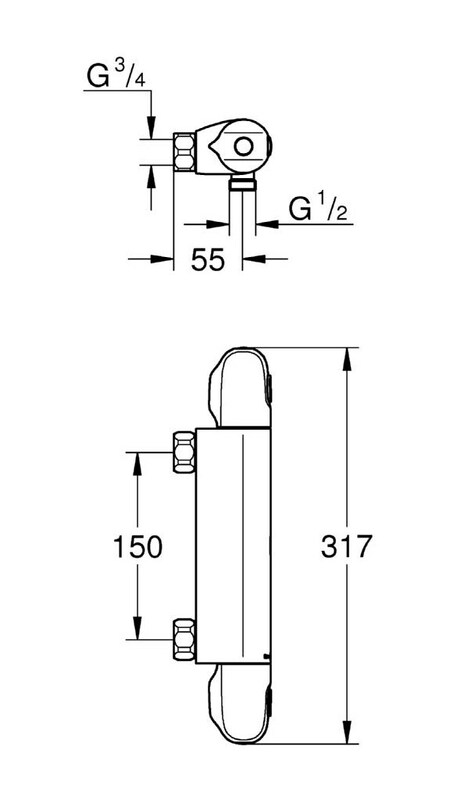 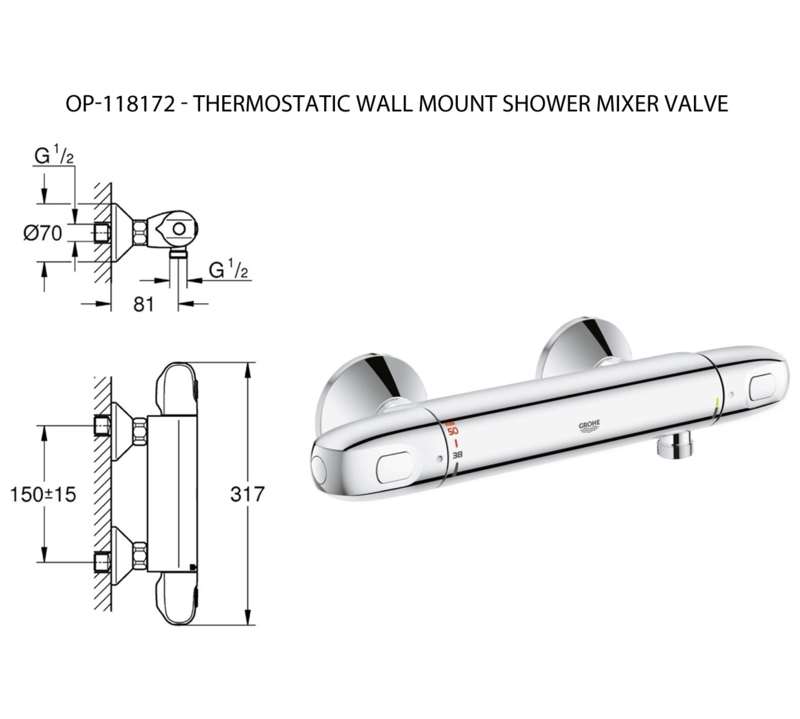 It inhibits hot water from travelling along the back of the brass body ensuring that temperature of outer surface never exceeds the selected temperature of the shower water.